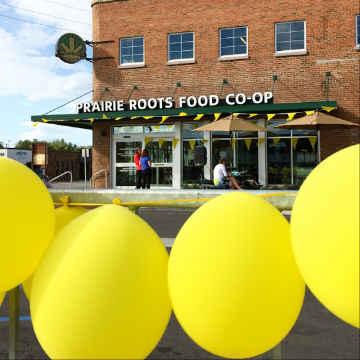 Congratulations to Prairie Roots Co-op on their summer grand opening (July 5 2017)! Feels like just yesterday when LEAF approved a loan, together with Shared Capital Cooperative, to finance the construction of their 8300 square foot facility. 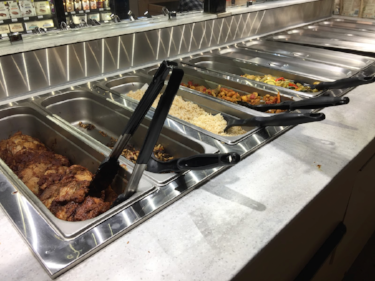 Prairie Roots is delivering healthy, locally-sourced, and delicious food to a region of Fargo, ND classified as a food desert and CDFI investment area. Though the original loan application projected the creation of 23 jobs, there are 30 new hires. A one-time fee allows anybody to become a member, or part-owner, of the co-op. More than just a grocery store, Prairie Roots seeks to bring the Fargo community together through various activities and classes. In news welcomed by food co-ops all over the US, the Small Business Administration recently amended a regulation that blocked it from making loans to consumer and marketing cooperatives. NCBA CLUSA helped lobby for this change, arguing that even though some cooperatives reach Fortune 500 status, they should still be classified as small businesses. Member-owned coops rely heavily on debt financing and have difficulty accessing outside investment capital, which makes this an important step in the right direction. There is still work to do: the SBA, like many banks, has personal guarantee and credit requirements that are nearly impossible for food co-ops to satisfy due to ownership being spread across all members. Continued outreach and advocacy can help keep the ball rolling and allow food co-ops to access a key source of debt capital.